Italy's Deputy Prime Minister Matteo Salvini gathered conservative and far-right European leaders in Milan on Monday to launch his movement to unite populist parties across Europe. 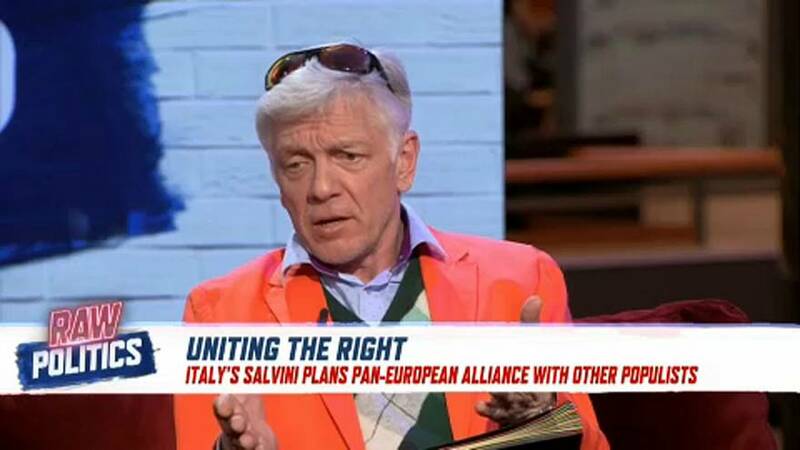 Representatives from four parties were in attendance — Salvini’s own League Party, the Alternative for Germany party (AfD), the conservative Finns party and the Danish People’s Party. With major players missing — including Marine Le Pen of France’s National Rally and Hungarian President Viktor Orban of the Fidesz party — it is unclear whether Salvini will find success. On Monday night’s episode of Raw Politics, Estonian MEP Indrek Tarand of the European Green Party called the launch a “failure”, saying divisions among far-right parties will prevent collaboration. “I don’t feel a threat because in a democracy people have a right to be stupid and vote for all sorts of extremist approaches,” Tarand later said on the show. Gerolf Annemans, a Belgian MEP with the Europe of Nations and Freedom party, hit back, arguing that “the people that vote for us are not stupid”. Annemans also contested the idea that cooperation is not possible for leaders, saying "every group has issues". “Groups in the European Parliament are not blocs, they have different views and that is our message also to the European Union — permit different views,” Annemans said.